Over 1 billion Internet users speak English – that’s 12 times the amount of the German-speaking people browsing the web. Online content in English therefore reaches a wider audience. According to the Content Marketing Institute, 200 million people now use ad blockers online. So, if you’re using traditional adverts to promote your products and services this means that you’re missing out on 200 million potential customers. People don’t want to be sold to when going online; they want to find answers, and solutions to their problems. Instead of promoting your brand explicitly, content marketing offers your audience something they actually want to read. This in turn will get them interested in your brand’s products and services. Blogs, videos, newsletters, e-books, press releases, guides and so on provide your audience with relevant content. It will, however, only truly be effective if the language hits the right tone. Your content won’t be found or read if the wording is wrong. 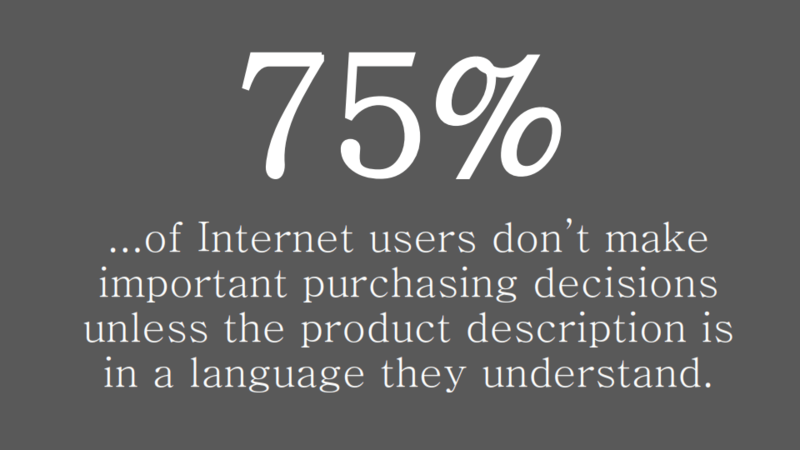 Take a look at the video below to learn more about SEO- and user-friendly language. So, in conclusion, well-written SEO-friendly content in English that people are looking for will engage a larger audience, ultimately resulting in increased sales. Could you benefit from SEO copywriting in English but don’t have the resources? Contact us to find out how we can help.